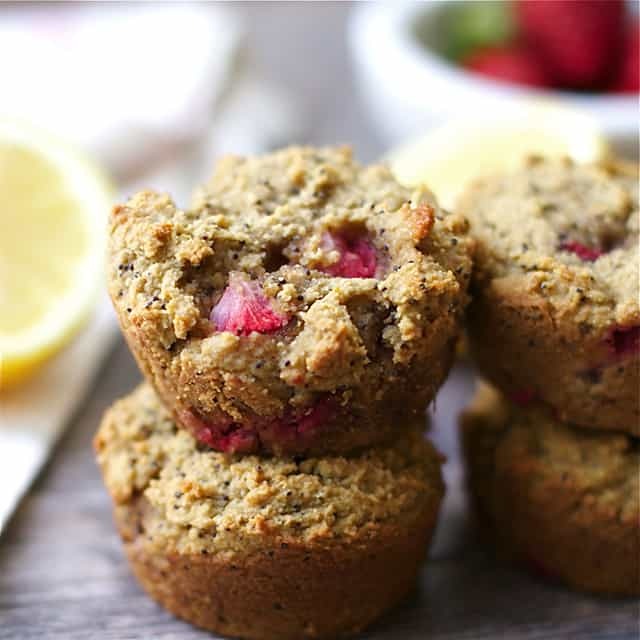 You’ll love these yummy and moist Strawberry Lemon Poppyseed Muffins that are a new favorite in our house! Grain-free, refined-sugar free, and Paleo, but no one will notice. 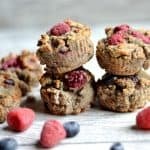 These perfect muffins make a delicious snack or breakfast on a busy morning! 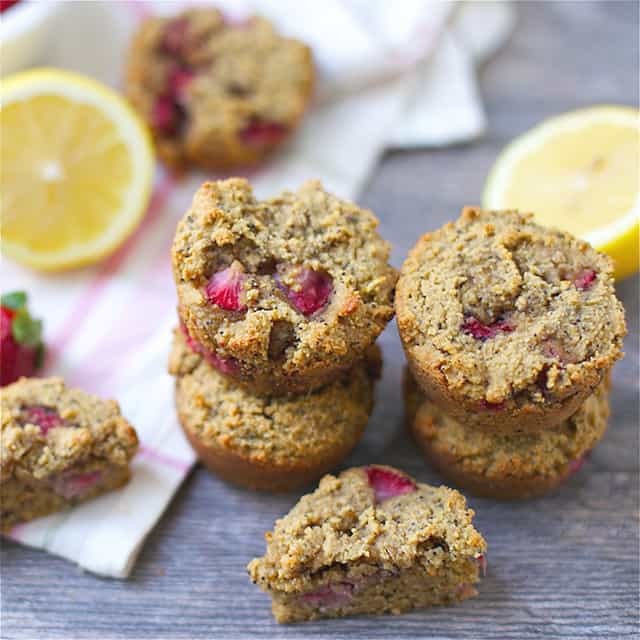 Say HELLO to spring with a bite of these super delicious muffins! I love that I’m saying hello to spring when there is snow in the forecast the next few days. Haha! No worries here, I love winter weather too. 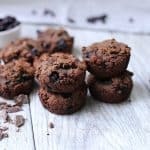 But if you want that perfect pop of spring flavor in this slightly warmer weather, these muffins are it!! 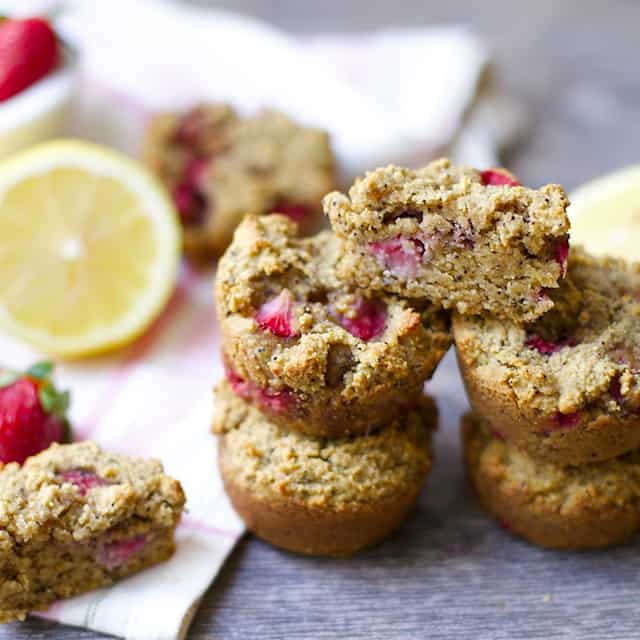 I also love the flavor combo and addition of strawberries in these perfect little muffins. 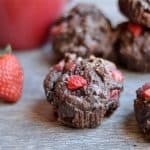 Just a fun way to add in the spring and summer strawberries that are so good this time of year! We eat muffins A LOT in my house. Like I make a batch at least once a week. 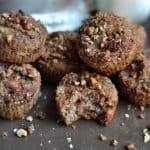 I recently had a friend ask me why I posted muffin recipes so much, and my answer to her was, “the same reason I post a lot of chicken recipes; we eat it all the time!! !” I love them because our mornings are usually busy with getting ready for school, work, etc. 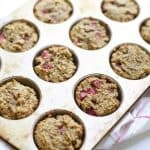 Making a batch of muffins on the weekend allows me to have an easy portable breakfast for the kids that is quick and nutritious! I personally love them with a cup of tea in the afternoon. I have stopped baking with regular white flour for awhile now. I find that not only is the nutrition improved which makes these an actual healthy breakfast, but the taste is so incredible! The only difference is they don’t puff up as much as a muffin with white flour would. As you can see in the picture below, there is only a little bit of rising, and the top is a little more rough. But it doesn’t matter!! Begin by preheating your oven to 350 degrees. 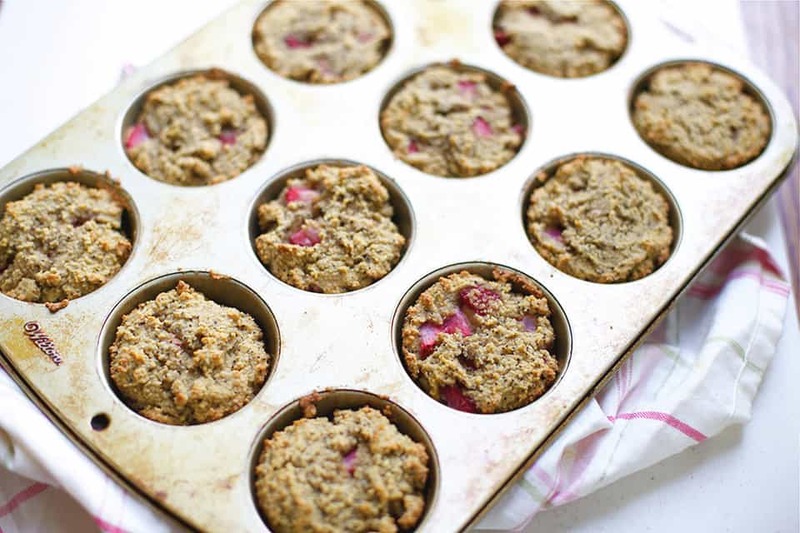 Grease a 12 cup muffin pan generously with cooking spray or coconut oil, or use cupcake liners (also gently spray these). Set aside. In a medium sized bowl, whisk together your dry ingredients: both flours, baking soda, poppy seeds, coconut sugar, salt, and lemon zest. Set aside. In a small bowl whisk together melted coconut oil, eggs (better at room temperature so that it doesn't harden the coconut oil), honey, and lemon juice. Add wet mixture to dry and mix well until all flour pockets are incorporated into the batter. Now gently fold in diced strawberries. Spoon mixture into muffin cups about 3/4 full, evenly distributing batter. Bake at 350 for right around 18 minutes, check to ensure muffins are cooked all the way by inserting a toothpick. You may need to bake an additional 2 minutes. Remove from oven and let cool for 5-7 minutes. Remove and serve. Muffins can be stored in an airtight container for 2-3 days, or frozen for several weeks in a freezer container or bag.